one of our patients was clutching a flower when she was brought in. I hope it brought her some comfort as I know she was scared when she came into the OR. she did really well afterwards and was smiling. we lost the flower but we gave her a stuffed animal, so it was a reasonable trade. Dr. Michael Krieves is an anesthesiologist in Grand Junction, Colorado. 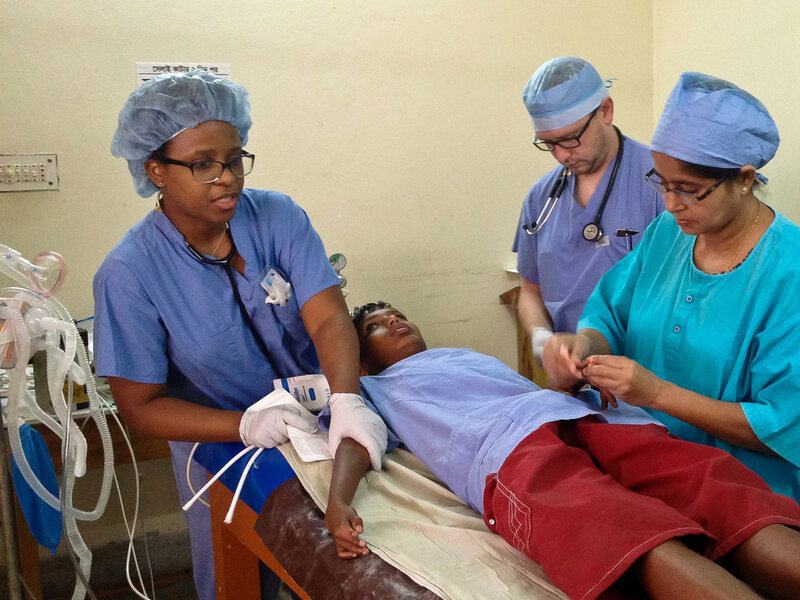 Dr. Neal Gleason is an anesthesiologist from Dartmouth, New Hampshire. 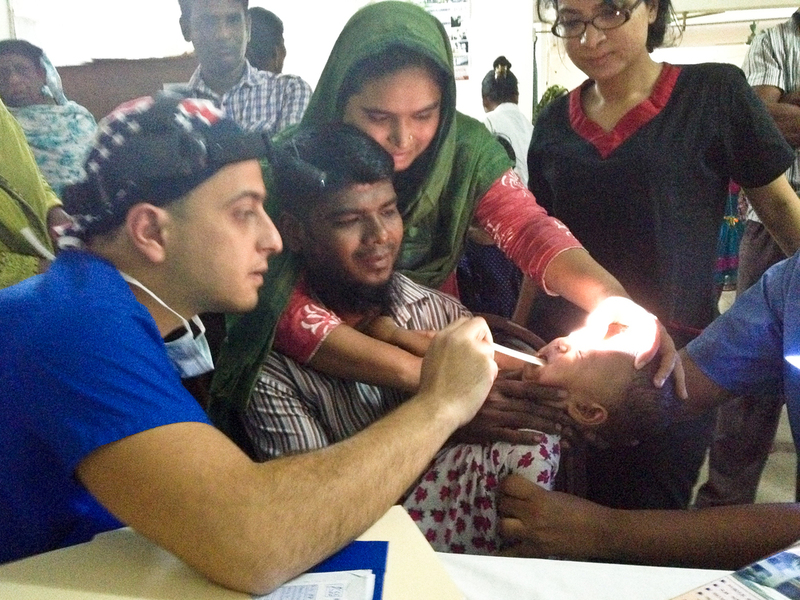 Dr. Sam Albadawi, Rutgers University School of Medical oral maxillofacial surgery chief resident evaluating a possible patient with her family. Dr. John Wallace, Dallas oral maxillofacial surgeon, conducting presurgical screening of a patient. this week dr. samuel rhee will be in bangladesh on a cleft lip and palate surgical trip and writing about his experiences. can you think yourself into becoming younger? "The experimental subjects had put their mind in an earlier time, and their bodies went along for the ride." There is some fascinating evidence highlighted this past week that your mind set can dramatically change your body. A Delaware man underwent a colonoscopy, awaking afterwards and discovering he was wearing pink women's underwear. What is going on here? a New York Times article pokes fun at "extreme fitness" - but is "extreme fitness" really the problem in the United States? read more to find out. it sounds almost too fantastic, but our skin has scent receptors, and investigators have shown certain smells help it to heal. would you trust dr. phil's advice about cosmetic surgery? would you trust this man to give you good advice about cosmetic surgery? you may be surprised. hate to wait? have questions? want to know office locations? send us an online request to schedule an appointment with dr. rhee or ask away!